1. 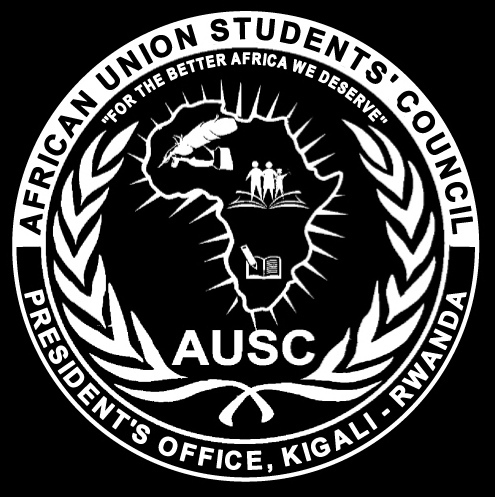 On Top: There is the AUSC General Assembly which is composed of All AUSC Transitional Committee Leaders /Executive Committee Leaders , Observers and Interested Partners and special Invitees for AUSC General Assembly, Obligatory, there must at least be 1 General Assembly Per Year and 50% of attendance can make decisions. 2. 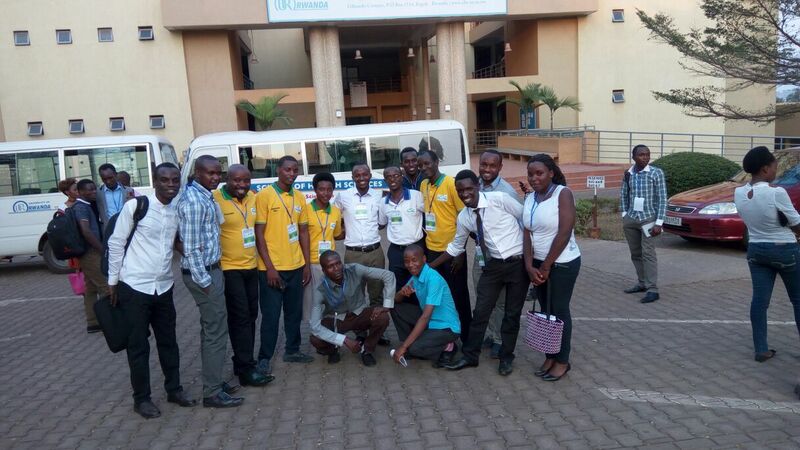 In Middle: There is the AUSC Transitional Committee/Executive Committee which organizes the General Meeting, Composed of All 3 Working Teams Leaders, AUSC President organizes a General Meeting any time it is needed but at least there must be 1 General Meeting per Year and 50% of attendance can make decisions. 3. At the Base: There is the AUSC Working Teams which organize General Meetings for Each Team: Leaders in every Team of any of the 3 Teams organize their International Level, Regional Level, National Level, Zone Level, and District Level proper meeting either online or face to face any time it is needed and can invite the leaders of the other Teams and 50% of attendance can make decisions in a specific Team General Meeting. 3. Vision: The Africa has got its Youth and Students as The only Primary Resources, thus AUSC will keep hardworking and determination to develop the African Continent through the full inclusion of Youth and Students in the African Union Leadership and provide the Africa next Generation with adequate Leadership capacity and thus our continent will develop its Leadership style that will benefits all African citizens, and thus eradicating total or partial dependence of African Countries to the Western, European, Asia and Other non-African Individual Developed Countries Worldwide. 4. Mission: The African Union Students’ Council (AUSC) “For The Better Africa We Deserve” was Founded with the Mission to have the African students Voice be fully included in the African Union Leadership and Development Decision Makings, and make together a better Leadership and Development of our African Continent basing on not only Old people Leaders’ minds but also basing on its proper Youth and Students empowered Leaders as the hope for a strong Africa of our next Generations which will live a Non Corruption Leadership independently to Western Countries ,and Other Individual Developed Countries Worldwide, in order to develop our African Continent Academically, Economically and Politically, basing on its proper Youth and Students’ empowered Leaders by the African Governments, African Union and United Nations. 1.AUSC objectives are broad and seek to actively engage the youth of the African continent to achieve greater unity and solidarity between the amongst them; accelerate their political and social-economic integration; establish, promote and defend sound youth perspectives on issues of interest to the continent and its peoples; encourage regional and international youth cooperation; establish youth mechanisms to promote peace, security and stability in the continent by supporting democratic principles and institutions, popular participation and good governance; and most importantly take active roles in the fulfillment of the Sustainable Development Goals. 2. To bring together all bright African Students experienced Leaders inside one Organization allowing them the freedom of sharing the students views and opinions to other African Union Leaders during the African Union Leadership and Development Decision Making meetings where the Students opinions must be given value in the shaping the better Africa We Deserve as the future leaders of this Continent of Africa. 3.To magnify our African Leadership styles, through the African Students Leaders from different African National backgrounds who decided to create and initiate officially the African Union Students’ Council to be working with the African Union which is an excellent Body that has been trying to solve those challenges from many years ago. 4. 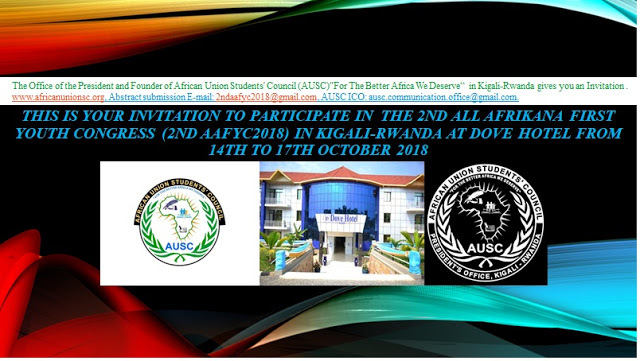 To make AUSC be basically associated or Directly partnered with the African Union and United Nations in order to generate the Solutions of the African Youth and Students Challenges that seem to very soon be hindering them to Successfully achieve the Sustainable Development Goals (SDGs), this is the reason which matters with our decision and willing to start the Working of the New Organization AUSC to make the Whole World feel how much Africa is going to make everything possible to sustain its Leadership and Development without full or partial dependence to the Western or Asian and European Richest Countries, all of these changes must start with us the Youth and Students the hope of the future Africa. 5. To involving both the African Governments, African Union and United Nations to fill the African Union Students’ Council gaps as a new African Youth and Students’ Organization for all about Technical Support and other available means, to help our beloved African Youth and Students move forward this Organization and thus will be the help to make AUSC achieve our objective of maximizing SDGs in Africa, especially beginning with its proper Youth and Students. We believe that African nations need to give their citizens more freedom and advance electoral transparency in order for the real voices of people to speak and be heard. 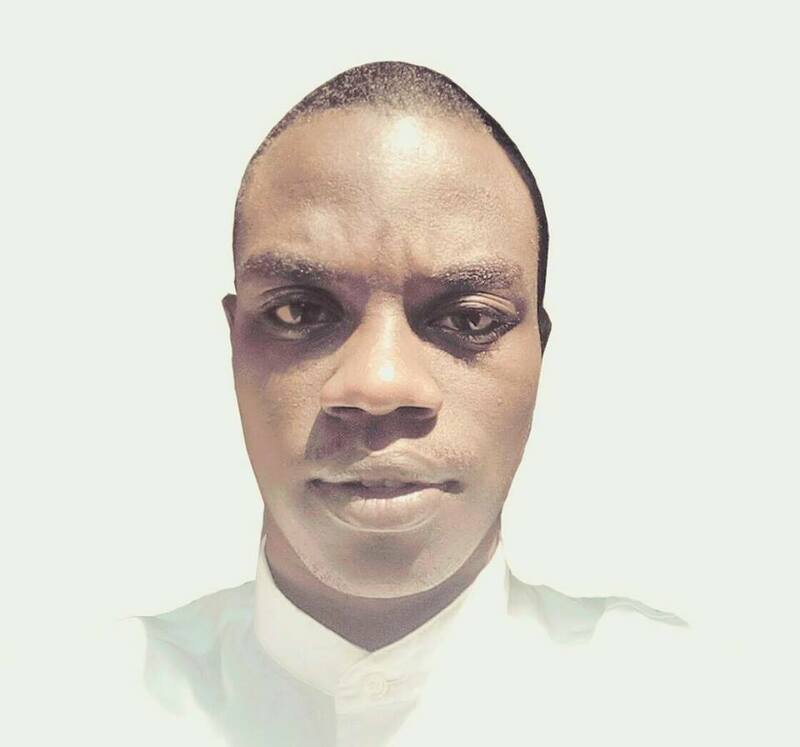 As young people of Africa, we agree that these political situations are unacceptable and are critical of the fact that elections in Africa are still marred by violence, unequal opportunities and mistreatment of oppositions, open rigging and both forceful and silent retention of power by some African leaders. We are concerned that the voices that matter; those of the common citizens, the youth, women and children are still being ignored by the insensitive actions of the ruling class. As the youth, our hearts are broken that such things still happen in the 21st Century and we seek to use AUSC to mobilize ourselves to cause ripples that will end such vices. 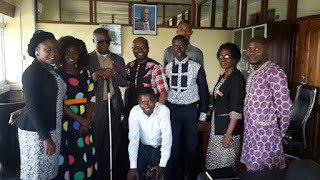 In the AUSC We believe that there is No Successful Community Leadership background without Successful Academic Leadership background, and thus only current students and youth leaders are the only people who have to build a successful African Development and leadership background. African Union Students’ Council (AUSC) “For The Better Africa We Deserve” today is determined to Shape the Better Africa We Deserve as Young People, especially as Academicians who are the most trustable, exact and real future Heads of African Governments and states, public and Private Companies and Civil Societies, International Organizing, and More Businesses. Therefore, the African Union Students’ Council is having the only purpose to change this Continent of Africa beginning from its Educated Youth to create the Leadership empowerment system that will keep allowing the Young Generation of today to contribute with all Efforts to Shape the Better Africa We Deserve as deserving our Next Generations Too wishing to closely collaborate with the United Nations (UN), African Union (AU) and Other African concerned International Organizations such as the Commonwealth, La Francophonie and Others non specified International organizations .